Liverpool have been understood to be tracking Italian creative midfielder Sandro Tonali for a while, but it seems the 18-year-old Italian won’t be available cheaply. Brescia club owner Massimo Cellino has supposedly upped his asking price for the in-demand prodigy once again. Inside Futbol exclusively report the price now stands at €50m, having previously been hovering around €15 million below that mark. The Anfield outfit aren’t alone in their reported pursuit of the regista (a defensive midfielder renowned for his passing ability, similar to Italian legend Andrea Pirlo), however, with Maurizio Sarri’s Chelsea and Serie A giants AS Roma also keen on acquiring the youngster’s services. 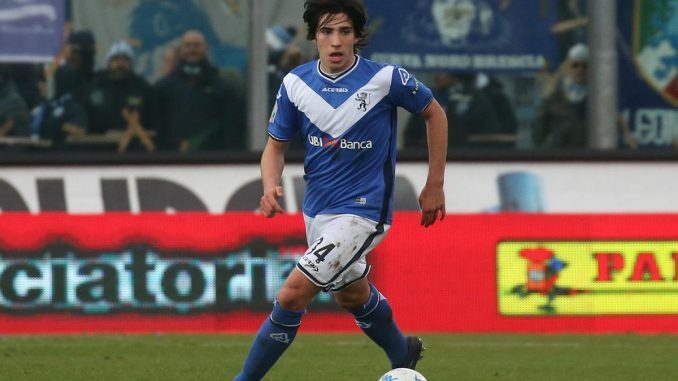 Brescia currently top the Serie B standings, thanks in no small part to the efforts of Sandro Tonali, who has been capped repeatedly by the Italian Under-19 side. The Lodi-native could yet find himself making the switch to Merseyside for the start of next campaign, but Jürgen Klopp’s side would have to stump up a hefty sum. This term, the sought-after versatile midfielder, who came through the youth ranks at Italian club into the first-team, has made 20 Serie B appearances, netted two goals and provided 5 assists for Biancoazzurri so far.